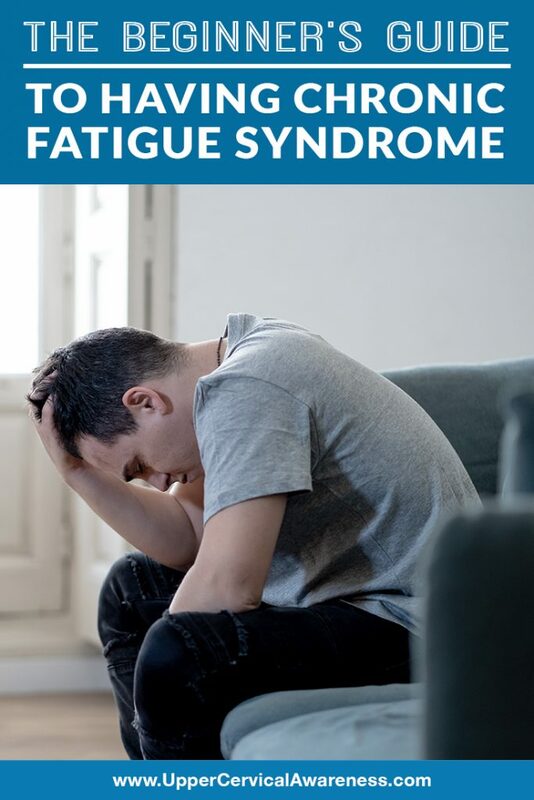 It can take years to get an official chronic fatigue syndrome diagnosis. While it is nice to finally know why you have been feeling so poorly for so long, it can also lead to far more questions and concerns. With that in mind, we’ve prepared a beginner guide to dealing with chronic fatigue syndrome to help you get a jump start on living with your condition. Here are a few tips to help you improve the quality of your life while living with a chronic health condition. Know that there will be good days – Chronic fatigue syndrome is not a death sentence, and it doesn’t confine you to a lifetime in bed. You will have good days, especially once you learn how to control your schedule and the condition. Don’t give into despair. Don’t overexert yourself physically – Exercise can be really important when it comes to gradually building up your stamina again and keeping pain levels down. However, if you overdo it, you are going to be in for a few bad days. So you have to be balanced. Even when you feel really good, limiting what you do during the day may allow you to have several good days in a row, rather than one good day where you may get a lot accomplished but need a week to recover. Don’t overexert yourself mentally – This is something that people often fail to understand when it comes to chronic fatigue syndrome. The fatigue is not limited to physical tiredness. Mental fatigue is also a factor, and mental or emotional stress is also a trigger for a flare-up that can last for days. While you can’t avoid all stress, it is a good idea to have a plan in place for positive stress management. Be accepting of your limitations – Another big concern for patients is that others will not accept their new limitations. However, you have to start with accepting your limitations yourself. Once you do that, whether or not your family, friends, or boss is willing to accept your new limits, at least you will be okay with yourself, and that’s the most important thing when coping with a life-changing illness. Prioritize your plans – One day of overdoing it can set you back to the point where you miss something truly important. So if you are supposed to be going to a wedding this weekend, don’t let your friend pressure you into a Friday lunch that you don’t really have the energy for. Setting priorities and choosing your battles wisely are some of the most important things you can do to be there for the most important moments. Sometimes you can’t just power through – There are some days where you will have something important to do, and you will be able to find the energy to get it done. There are other times when you will just have to admit defeat and try again tomorrow. It’s okay. Chronic fatigue syndrome is an illness. If you had cancer, you’d give yourself a pass, right? So when you just can’t power through, don’t beat yourself up over it. You’re ill, not lazy. Make the necessary lifestyle adjustments – If there are things you can change in order to improve your health, do it. Quit bad habits such as smoking that can make your condition worse. Take up good habits like gentle daily exercise and eating a healthy diet. If you make the lifestyle adjustments that you can make in order to improve your health, you will improve the quality of your life and remove the guilt because you know that you are doing the best you can. Ask for help when you need it – Some people see asking for help as a sign of weakness. As a result, you may pass on golden opportunities to get the help that you really need. If your mate and kids can help with some extra chores around that house, that may give you the energy to work a little bit more. Don’t be afraid to ask others for help, and if someone offers unsolicited help, don’t be afraid to accept it. Try upper cervical chiropractic – There’s no miracle chronic fatigue syndrome treatment, so that means you need to be open to alternatives that can help to improve your quality of life. Upper cervical chiropractic has been able to do that for some chronic fatigue syndrome patients in case studies. When the atlas (C1) is out of alignment, this can affect the entire central nervous system in several ways. It may inhibit proper brainstem function, reduce the proper flow of blood to the brain, or even lead to increased intracranial pressure. Therefore, it makes sense that correcting this upper cervical subluxation would have benefits for those suffering from chronic health ailments such as chronic fatigue syndrome, fibromyalgia, and other conditions that affect the nervous system. Upper cervical chiropractic care is unique in the way it addresses specific misalignments of the C1 and C2. It is a very precise therapy that features very gentle adjustments and long-lasting effects. If you would like to learn more about upper cervical chiropractic and how it may be able to help you, we encourage you to schedule a consultation with a practitioner in your area today. You may find that this precise and gentle form of chiropractic is just what you need in order to optimize your health.